Tuesdays and Thursdays at 7:pm we will be gathering all you badass ladies and those who want to train like a boss to learn Brazillian Jiu Jitsu and self defense techniques. All levels are welcome. $20 drop in, membership encouraged, no sign up fee, cancel at any time. No Gi is required but you are encouraged to get one. We don't want anything to keep you off the mats and keep you from learning this important movement. So join us, we'd love to help you learn, get fit , and make some reall great new friends. 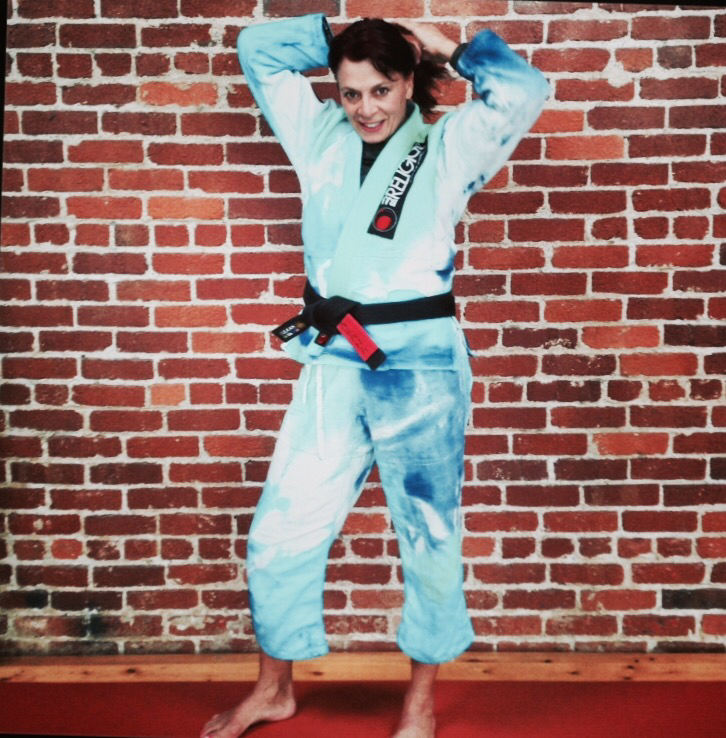 Deb Arana holds a black belt in Brazilian Jiu Jitsu with over 35 years of experience teaching various forms of movement techniques including ballet, samba, pole and aerial dance, fitness group classes, personal training & Pilates both group and one on one sessions. Helping people feel comfortable and confident in their bodies is her primary goal and passion, as is her desire to instruct her clients on how to train safely and effectively so that they may enjoy their moving and playing now, and as they get older! Her knowledge gleaned from hours in the dance studio, on the mats and in study have brought her to combining her loves of dance, Jiu Jitsu and Pilates in a way that will unlock your body's full potential for movement. Balancing core work with flexibility training, while leading you on a movement journey will ground you and have you in complete awareness of your body and how it moves organically. This group class is designed for all levels of Jiu Jitsu athletes, and non Jiu Jitsu athletes (regardless of gender). You don't need to already be flexible or a dancer to try this. You will experience more freedom in your Jiu Jitsu practice. Wear loose fitting easy to move in clothing that allows you to kneel and roll around  no shoes.